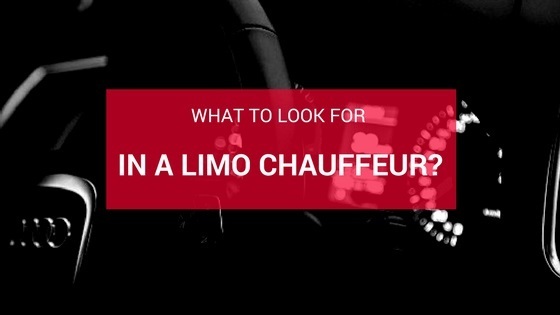 What to look for in a limo chauffeur? Home » Blog » What to look for in a limo chauffeur? One of the things that make limo hire services special is the fact that these vehicles are an excellent addition to every event. Surely limousines are great vehicles that come with all the comfort and luxury in the world. Punctuality – whenever you hire a limousine, you rely on reaching your destination on time. Whether it is a prom night, a December festive event or a wedding, pretty much all occasions have a strict schedule. The chauffeur should arrive at the pick-up point precisely when the arranged time comes. The driver shouldn’t ever be late, which means they should plan for traffic and time it takes to reach a destination per chosen route. If the chauffeur is late, this can easily ruin the entire experience, which is why punctuality is key. Be insistent on this! Knowledge of the route – since the chauffeur will be driving the car, they will be responsible for picking the route. You, as a client, want to reach your destination as fast (and safely) as possible, which means picking the proper route. Your chauffeur should be able to pick such routes that don’t encounter traffic. Additionally, they should know how to navigate the vehicle safely through the city and never get lost. A chauffeur that doesn’t know how to get you to your desired destination is not a good one. Building rapport with all passengers – a chauffeur should not remain as a hidden presence in the vehicle only, but instead, interact with passengers. The last thing you want to see is someone who doesn’t speak a word as they open the door of your limousine. Instead, you will like a friendly chauffeur, who can talk with you or any passenger with ease. As a matter of fact, the chauffeur should be able to tell if you prefer to talk or if you would rather stay quiet. At any case, it must be someone who values your requirements and is ready to accommodate them. Professional attitude – it is always great to see a chauffeur with experience because they can make the limo hire service all the more special. It must be someone presentable, with a pristine uniform and all the ID tags required. It should be a person who knows well enough how to behave. A good enough chauffeur can make limo hire services a truly wonderful experience. Don’t forget to leave positive feedback about the person and also a tip, to support their future efforts.